I can’t imagine a more important message for modern times. Eger’s book is a triumph, and should be read by all who care about both their inner freedom and the future of humanity. 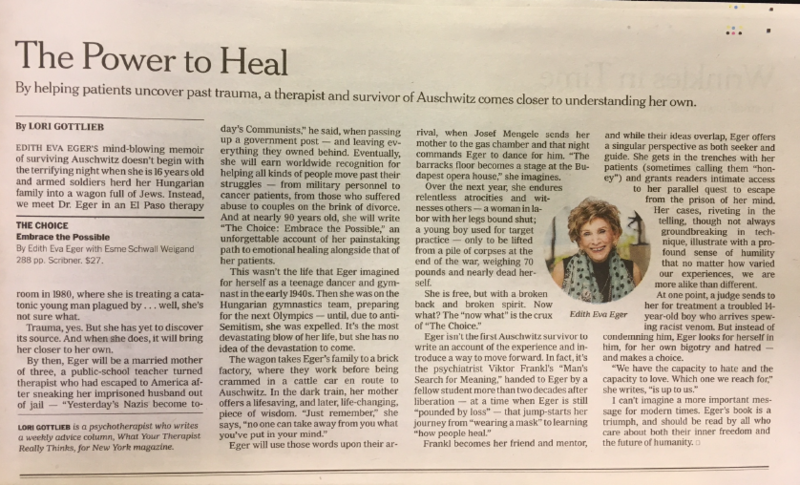 Titled The Power to Heal, Gottlieb captures Edie’s message of forgiveness and the ability to choose in her starred review, recognizing how pertinent this story is in the current national climate. To read Gottlieb’s full New York Times review, visit here or pick up your copy at your local news seller today!